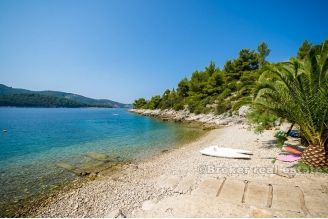 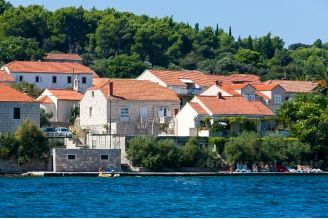 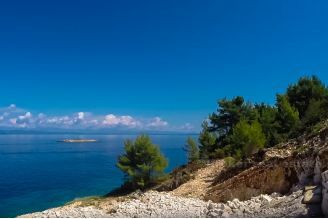 An unfinished house on the island of Korcula, in the cove in the first row to the sea. 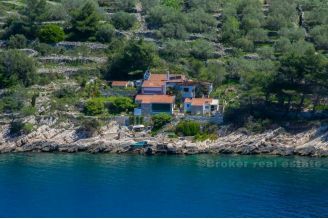 It consists of two floors - ground floor and first floor, and is placed on a plot of 580 m2. The ground floor of the property is completed and can be used. 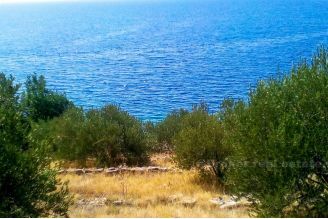 It consists of two comfortable bedrooms, a bathroom, a laundry room with a shower, a kitchen and a dining room. 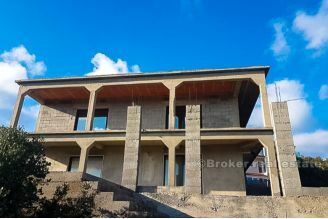 First floor is in roh-bau condition, and consists of three bedrooms, bathroom and living room. 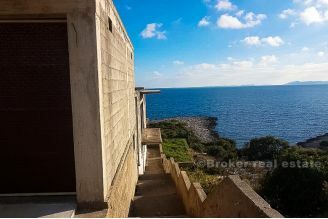 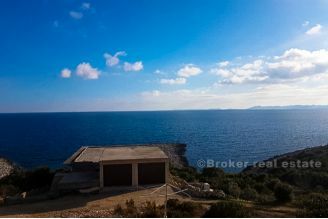 The property also has two garage parking places, and direct access to the sea and the beach (50 m). In front of the property there is a terrace with an outdoor fireplace, which offers a beautiful view of the sea and the greenery surrounding the property.